Would you like to save spending money for any Lexmark toner? Purchasing a new Lexmark C544-dw toner cartridges with us allows you to start saving a whole lot of time and money. Taking into consideration Cartridge Save's affordable rates along with our low price guarantee you'll be convinced of finding the best possible offer on your Lexmark C544 dw toner cartridges. It is Cartridge Save's mission to satisfy every single buyer by giving you affordable rates as well as Lexmark C544dw toner which have been manufactured to rigorous specifications. Find Great Deals Today For Lexmark C544 dw Toner Cartridges! 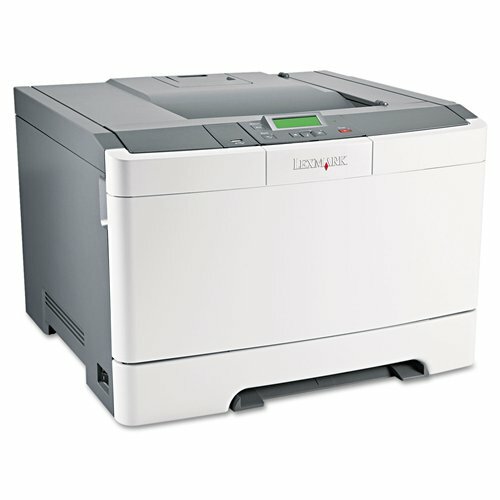 You could make big savings due to speedy and free delivery on all Lexmark toners. The particular great value Lexmark C544dw toner cartridge could be purchased online on our secure store so don't delay and order as soon as you can while stocks last. We have a friendly team of experts that will always make sure that buying a replacement Lexmark C544-dw toner cartridge is a fast and also convenient shopping experience. Remember that Lexmark C544 dw toners sold by Cartridge Save are covered with our no quibble money back guarantee which gives you the chance to receive a full refund so customer care is by no means far from reach. We're giving you speedy delivery, dependable laser toners as well as the lowest possible prices. It makes perfect sense for you to pick us for C544-dw toner cartridges. Lexmark has packed business friendly functions into a compact desktop device in the C544DW, which gives you a network-ready, Wi-Fi enabled printing press capable of duplexing, fast colour laser printing, and copying. Ideal for small but demanding environments and work groups, the C544DW from Lexmark brings excellent functionality while providing an eco-friendly printing solution. Expect some Wi-Fi related glitches, but nothing that can't be fixed. Relatively compact for a multi-function printer, the C544DW measures 23x19x16 inches right out of the box. It is built to last, boasting a 55,000 page duty cycle. The C544DW can be used wirelessly or via the USB connection, which can easily be connected to your existing network. The C544DW is an eco-friendly printer, featuring energy saving modes for instant warm up (ultimately reducing your power bill), along with the paper-saving and duplex printing feature. It boasts high print resolution (up to 4800 dpi for black and colour outputs). Print speed is as fast as 25ppm. There are some hiccups on the wireless functionalities of the C544DW, which can be fixed with some technical know-how. All things considered, though, this multifunction Lexmark is a reliable workhorse, producing good quality text, graphics, and images.